Make sure you're prepared for those critical first two minutes of a fire. 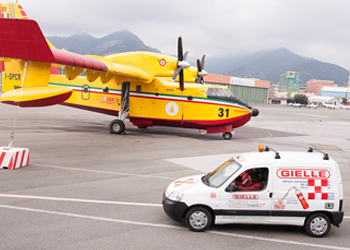 Choose from a complete line of Gielle portable fire extinguishers to protect your people and property. Portable fire extinguishers come in a range of sizes and ratings, and the higher the rating, the larger the fire it can be used on. However, larger and heavier extinguishers (which generally have the higher ratings) can be more difficult to handle, especially for persons of a lighter build. It is recommended that the extinguisher you buy is approved by standards. Portable Fire Extinguishers can save lives and property by putting out or containing fires within the capability of the extinguisher. However, they must be of the correct type for the particular fire, and they must be used correctly. 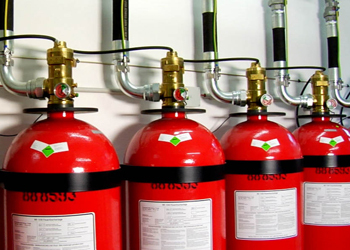 There are a number of types of portable fire extinguishers. 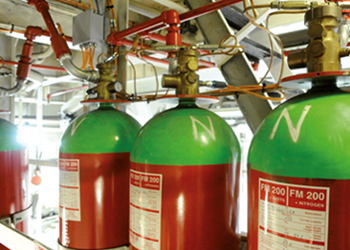 Each type of extinguisher may be rated for one or more classes of fire. In some cases, particular extinguishers are not only considered ineffective against certain classes of fire, they can be dangerous if used in those circumstances.